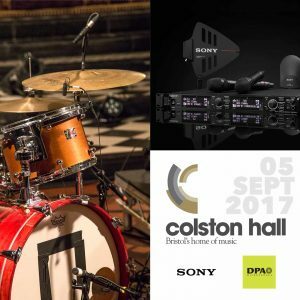 Join us for a day of learning about the future of digital wireless technology with Sony and the latest in microphone techniques with DPA Microphones at Colston Hall in Bristol on Tuesday 5th September. We are hosting a full day of workshops on these pertinent subjects and have tailored the content to improve your knowledge and skill whether you are an aspiring or professional sound engineer. The morning will consist of two sessions on digital wireless technology and control and microphone techniques for conference / spoken word applications, followed by an afternoon of hands on mic placement and testing with a live band. All this will be held at the prestigious Colston Hall in Bristol. Registration is now closed as this event has already happened.